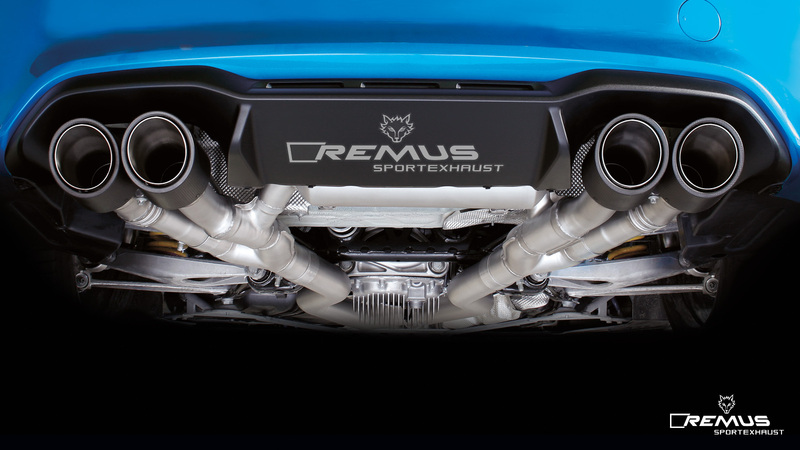 Tarmac Sportz now offer exhausts from Remus, a company that has been building their reputation over the span of almost 3 decades. Remus was founded in Austria in 1990 and have since built up their product range, from cars to bikes. Sports exhausts are for improving your engine’s ability to breathe or making it sound better, or all of the above. Exhausts from Remus are always an excellent option to do both of these, giving your car an essential edge in engine efficiency and pure audio impact. 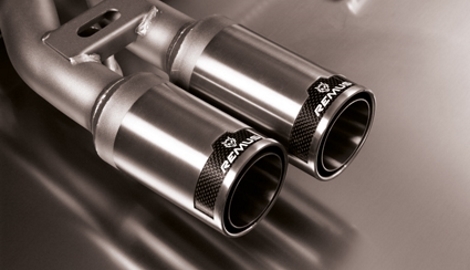 Remus have invested a lot of time into research and development and all products are tested in-house using state of the art technology to test the thermal, acoustic and mechanical properties of the exhaust, in order to provide a quality product. Beginning with just five employees and a small factory building, Remus was founded in the countryside outside the city of Barnbach. They quickly developed a reputation for quality and expertise, which continues to this day. The team grew quickly and their list of clients got longer and longer, and by the middle of the 1990s they had become the market leader in aftermarket sport exhausts. Their iconic wolf logo is seen on thousands of products all over the world. The familiar lupine face is indicative of expertise, innovation and quality. The team at Remus has always valued the importance of a creative and robust R&D department. The R&D team have every possible resource available to them, in order to foster effective and lucrative projects and testing. Remus uses R&D to stay ahead of the pack. Exhausts from Remus are the product of several years of extensive research and development, to ensure their safety, effectiveness and quality. Tests of all manner are carried out, to guarantee mechanical, thermal and acoustic excellence. Remus’ focus on R&D is so fierce that they built a bespoke, high-tech room purely for the purpose of testing the acoustics of each exhaust they design. Remus products may take years of research and development, but it is a testament to the size and effectiveness of their team that they have such an extensive range of quality exhausts. Their Sports Label range is described by Remus, themselves, as having “the hottest sound ever heard.” A bold claim, certainly, but they might just be onto something. As well as this, you get a 3-year warranty, demonstrating Remus’ confidence in the quality of their exhausts. This quality is derived from the stainless steel construction of each product in this range. Powersound is described as “hot sound on the road, sheer lunacy on the racing track.” If that doesn’t get your blood pumping then you must be one cool customer. This is an exhaust that is built for tuning - you can tinker with it at will to make it perfect for your car. Wild Label is for for the most primal, raw sound you are ever going to hear from your car. With the same stainless steel quality and 3-year warranty, your ride is going to remain wild for several years to come.